As of Monday afternoon, Clark County public health officials announced that there have now been 35 confirmed cases and 11 suspected cases of the disease. This marks a continued increase in the number of confirmed cases, as there were 31 confirmed on Friday when the governor declared a state of emergency. The day before, there were 25 confirmed cases. The majority of those infected were children, with 25 of the 35 confirmed cases impacting children 10 years old or younger. Nine of the other cases are children between the ages of 11 and 18 years old. Only one of the confirmed cases appeared in someone who is between 19 and 29 years old. 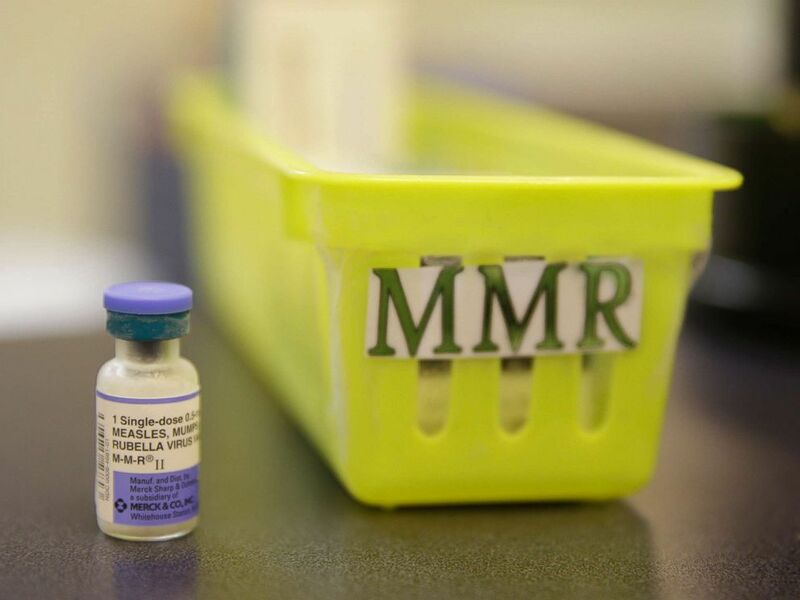 The county health website lists various locations where infected individuals have visited, possibly exposing others as measles is such a contagious disease. There are more than 10 health facilities and clinics listed, as well as a dozen schools, several churches, the Portland International Airport, a Costco, an Ikea, a pho restaurant and the arena where the Trail Blazers basketball team plays. 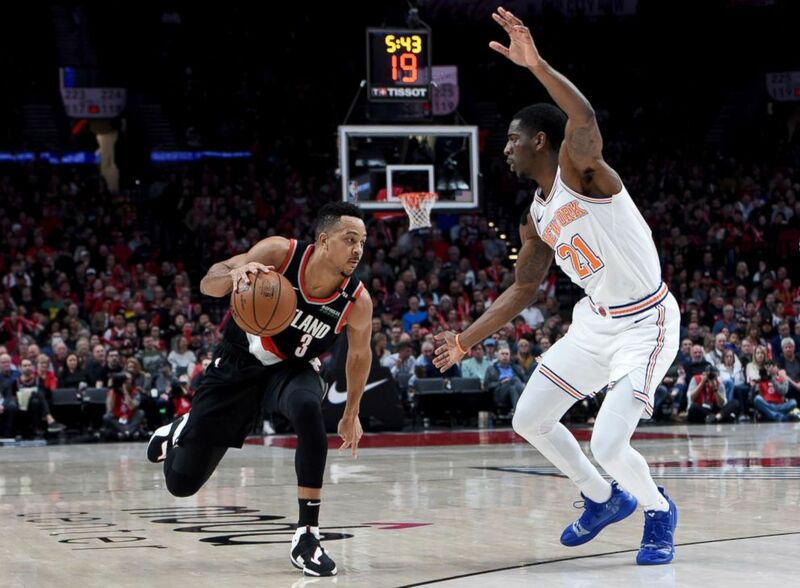 The Portland Trail Blazers guard CJ McCollum (3) drives to the basket against New York Knicks guard Damyean Dotson (21) during the second half at the Moda Center, Jan 7, 2019. The immunization status of those infected is a key factor, and the county's health website noted that of the 35 confirmed cases, 31 of those individuals were not immunized. The immunization statuses of the remaining four were unverified. Dr. Alan Melnick, the public health director for Clark County, spoke to ABC News on Friday, saying that he expected the numbers to rise because he saw the most effective preventative measure to be further vaccinations, which is not something that can put an immediate end to an ongoing outbreak. Measles was a deadly disease for children in America before the vaccine became widely used after it was first available in 1963. Dr. Peter Hotez, a vaccine advocate and dean of the National School of Tropical Medicine at Baylor College of Medicine, said in an interview on ABC News' "Start Here" podcast that the disease poses a real threat many have forgotten about. "People are often very dismissive of measles, but we forget the fact that it's actually, up until fairly recently in human history, it's been one of the great killers of children worldwide," Hotez said. "It's one of the most highly contagious diseases known to humans, so on average if a single individual gets measles, 12 to 18 other individuals will get it as well." A measles, mumps and rubella vaccine sits on a counter at a pediatrics clinic in Greenbrae, Calif., Feb. 6, 2015. One of the key ways in which vaccinations help prevent the spread -- and in many cases, the appearance of the disease in so much of the United States today -- is because of a tactic called "herd immunity," where entire communities are effectively protected once immunization rates are sufficiently high. However, data from Clark County shows that their immunization rates are well below those desired levels. According to the latest county data, 76.5 percent of the county's 5,680 kindergartners had complete immunizations in the 2017-2018 school year. "This is a self-inflicted wound," Hotez said of the low vaccination rates in the Pacific Northwest. This report was featured in the Monday, Jan. 28, 2019, episode of ABC News' daily news podcast, "Start Here."